New Jersey has over 463,000 veterans in the state, and unfortunately it has the dubious honor of having the highest unemployment rate for veterans in the country. According to information released by the Department of Labor’s Bureau of Labor and Statistics, the state had an unemployment rate for veterans of 10.8 percent in 2013. Fortunately, there are some great companies that are eager to hire veterans. Not because of a sense of pity, but instead because they recognize the remarkable value that someone who has served in uniform brings to their ranks; someone who will show up on time, knows how to lead and how to follow, how to effectively function in diverse and challenging environments, and the dozens of other traits that every veteran or transitioning military person has inculcated through their service. Excelsior Medical is one such company. On May 13th they will be hosting a daylong recareering workshop for transitioning military and veterans. There is no cost to veterans and meals and parking are included. The event will include one-on-0ne mentoring with veterans who already work at the hosting company as well as human resources experts and hiring managers who will work with the veterans to improve their resumes, refine job-seeking skills like interviewing and effective social networking, and to interview qualified veterans for jobs. Space is limited to 20 veterans at Excelsior Medical on May 13th. To register and reserve a seat at the event, follow this link http://www.mvpvets.org/mvpvets-event-interest-form or go to the MedTech and BioTech Veterans Program website at www.mvpvets.org and follow the “Mentor and Veteran Workshop” link under “events”. I spent yesterday in New Jersey, where Ethicon (a Johnson and Johnson company) partnered with the MedTech and BioTech Veterans Program (MVP) hosted 15 veterans in their Somerville headquarters. The veterans were paired with mentors from a half dozen supporting companies, and were able to participate in a full day of industry familiarization, job seeking skill building, resume review, social media branding, and networking. The CEO of Johnson and Johnson, Alex Gorsky, and the President of Ethicon, Dan Wildman, both took time from their incredibly busy schedules to address the participants. As if that were not enough commitment from the organization to help veterans, the day culminated with the J&J Talent Acquisition team opening showing how participants could access the thousands of job openings across the J&J family of companies. It was a testament to how the company is a leader in the veteran employment space, and it is the first of what will become an annual event. The event is one of six that MVP will be conducting with Life Science companies this year. The next event is scheduled for May 13th, where Excelsior Medical will be hosting up to 20 veterans at their headquarters in Neptune, New Jersey. Other events will be held in Chicago, San Diego, Minneapolis, and Boston, so if you are in any of these areas please consider attending! The events are free for veterans, and each company will be sharing job opportunities as a part of the event. For more information about upcoming events and the MedTech and BioTech Veterans Program, go to http://www.mvpvets.org and scroll down to the upcoming events section of the landing page. If you would like to participate, sign up! We are looking for veterans to participate in every event, and the opportunity to learn about the life science industry and how companies operate is an opportunity that is very different from a job fair or career seminar. I hope to see you at one of the events! New Jersey has been identified as having the highest unemployment rate for veterans in the country. According to information released by the Department of Labor’s Bureau of Labor and Statistics, the state had an unemployment rate for veterans of 10.8 percent in 2013. There are a lot of unemployed veterans in New Jersey, and companies like Ethicon (a Johnson and Johnson company located in Somerville) and Excelsior Medical (a medical device manufacturer located in Neptune) are doing something about it. They are both opening their doors to host recareering and hiring seminars for transitioning military and veterans in the New Jersey area. The one-day seminars are completely free for veterans to attend, and they will include one-on-0ne mentoring with veterans who already work at the hosting companies as well as human resources experts and hiring managers who will work with the veterans to improve their resumes, refine job-seeking skills like interviewing and effective social networking, and to interview qualified veterans for jobs. Space is limited to 30 veterans at Ethicon on April 29th and 20 veterans at Excelsior Medical on May 13th. To register and reserve a seat at either event, follow this link (www.mvpvets.org/mvpvets-event-interest-form) or go to the MedTech and BioTech Veterans Program website at http://www.mvpvets.org and follow the “Mentor and Veteran Workshop” link under “events”. SOMERVILLE, N.J., April 15, 2014 /PRNewswire-USNewswire/ — On April 29th, the MedTech and BioTech Veterans Program (www.mvpvets.com) will host its inaugural re-careering event for transitioning military and veterans in New Jersey. Military personnel in transition from service and honorably discharged veterans are invited to apply for the opportunity to participate in this free one day seminar that will include active one-on-one mentoring, industry specific training, eLearning enrollment, and personal engagement with hiring managers seeking to employ program participants. Enrollment has been increased to 30 participants in order to help veterans in New Jersey and the surrounding area find new careers in areas such fields as project management, supply chain, quality control, human resources, and many others. There is no cost for veterans and transitioning military, and hiring managers with positions to fill will be participating. All materials, breakfast, lunch, and parking are provided free of charge. Transitioning military and veterans interested in participating in the program can apply at the MedTech and BioTech Veterans Program website (http://www.mvpvets.org/mvpvets-event-interest-form). The event brings veterans and transitioning military together with mentors from the medical technology industry while they participate in active sessions that include resume review and refinement, job interview training and rehearsals, creating a professional online presence in social media, and networking. Hiring managers from companies strongly desiring to hire transitioning military and veterans participate in the program as mentors, trainers, and interviewers. The event will be hosted by Ethicon, Inc., a global leader in the medical device industry, at their Somerville facility. Participants will be able to submit their resumes for review and editing the week prior to the event so that they can be thoroughly prepared for submission to hiring managers. The MedTech and BioTech Veterans Program is a nonprofit organization with the mission to bring 5,000 veterans and transitioning military into the Life Sciences by 2018. Co-founded by Abiomed (www.abiomed.com) and Zero Boundaries Global (www.zbglobal.com), MVP brings active mentorship together with an integrated collaborative online portal and eLearning from the Life Collaborative in a concerted effort to help those who have served the country in uniform re-career into meaningful and impactful careers in the MedTech, MedDevice, BioTech, Pharmaceutical, BioFuels, and Wireless Medical Technology sectors. For more information, please go to www.mvpvets.org or contact mgrice@mvpvets.org. CARLSBAD, Calif., Feb. 5, 2014 (GLOBE NEWSWIRE) — The Medical Technology Veterans Program, renamed the MedTech and BioTech Veterans Program (MVP), has expanded nationwide and to industries across the life sciences. MVP is a career-training and mentorship program, designed to help veterans transition into jobs in the medical technology (medtech), biotechnology (biotech), life sciences and diagnostic industries. This successful program has expanded nationwide to offer customized educational programs aimed at preparing veterans for impactful and meaningful employment as professionals in the life sciences. As part of this expansion, the new MVP web portal will now be located at http://www.mvpvets.org. Foundational partners of MVP, including heart pump manufacturer, Abiomed, Inc., and medical device trade association AdvaMed, will also welcome a new partner, BioCollaborative, to assist in reaching additional veterans from around the country and providing cutting edge industry-focused training. With its expertise in developing and administering customized eLearning platforms, BioCollaborative is an ideal partner to assist in equipping job-seeking veterans with pragmatic learning solutions necessary to succeed in the job market. MVP, which launched in 2012, recognizes the strong correlation between the mission of the medtech and biotech industries and those veterans who wish to pursue careers in the life sciences. The program applies to all military veterans, with special recognition to those who have served since 9/11 and those wounded overseas. Participants interact with mentors, who are industry professionals and veterans that have already transitioned into successful civilian roles at medtech or biotech companies. Mentors represent job functions ranging from sales and customer support to operations, human resources, manufacturing and R&D, as well as C-level executives at leading medical device and life sciences companies who will provide advice and guidance throughout the transition process. The United States is a global leader in both the medical device and biotech industries, which directly and indirectly supports millions of jobs across the United States and overseas. In addition to the web portal and online educational programs, which result in industry-recognized certifications, MVP will also host regional events for veterans and mentors to connect, mentor training and networking. Members will also gain access to the online learning and collaboration community for jobseekers known as JobFastPass. The new web portal (www.mvpvets.org) includes a database of veterans’ resumes that are exclusive to partnering companies, as well as a series of webinars which are free to veterans and mentors. The webinar topics include careers in the medtech and biotech industries, social media networking, personal branding, as well as creating high-impact resumes. To register for the MVP program as either a mentor or veteran jobseeker, please go to http://www.mvpvets.org. If you are already a member of the MVP program and have questions about this new expansion, please contact Mike Grice at mgrice@mvpvets.org. You can access the press release here. If this looks like something that you would be interested in, please check out the website: www.mvpvets.org or shoot me an email! It sounds simplistic, but it’s true. Employers are seeking to fill holes in their organizational chart, and those holes must be filled by people who are qualified to perform the tasks and assume the responsibilities that come with the job. Those who have served in the military are certainly ready to assume the responsibility that comes with a position within a company; after all, responsibility is what wearing a uniform is all about. Responsibility to protect and defend the nation and its citizens, responsibility to comrades in arms, and the responsibility to effectively lead others with both compassion and professionalism. A sense of responsibility and commitment is part of being in the military, and it doesn’t vanish once they hang up their uniforms. It is a part of their character. What veterans and transitioning military lack, however, are skills. Let me back up a moment to explain what I mean. In the military each and every man and woman is expected to master not just one, but two sets of skills: those skills that define their Military Occupational Specialty (MOS – such as artillery, administration, maintenance, etc.) and those skills that define their military service. They can learn everything from how to drive a tank to how to fly a stealth bomber through their technical training regimen, but before they get the keys to an M-1 Abrams Main Battle Tank those who sign up must first begin the acculturation and training process that brings them into the martial fold. They get to go to bootcamp. Or OCS. Whether as a recruit or an officer candidate, the privilege of wearing the uniform must be earned through the successful completion of an intense entry level training program. 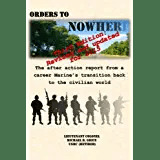 Regardless of which service a person joins, he or she must go through the crucible of acculturation that forever changes them from a civilian to a Soldier, Sailor, Airman, or Marine. Once the right to wear the uniform is earned the newly minted graduate ships out to their MOS school, which is where they learn how to perform their specific job. It doesn’t end there. Throughout a person’s military career (whether it be three years or thirty), he or she is continually learning about leadership, reinforcing a committed work ethic, and being a member or leader of ever growing teams in addition to increasing their technical expertise. In short, military professionals are developing their skills continually from the day they join until the day they leave. The skill sets of those in uniform don’t stop expanding until they get out. In short, the business world is looking to hire people with the skills that come with being a military professional. The problem is that so many veterans only identify themselves by their MOS skills and as a result they sell themselves short. They only see themselves as an infantryman, an truck driver, or a bulk fuel delivery specialist, and they present themselves as such. I don’t know how many times I have heard “I’m just a dumb grunt. Nobody is hiring grunts in the civilian world!”, but it’s somewhere in the thousands. And that is the problem. Veterans need to present themselves to employers as solutions to their manpower problems, and a big part of being the solution are the “soft skills” that those in uniform possess. Things like commitment, sense of responsibility, work ethic, and leadership. The corporate executives and hiring managers I speak with are unanimous in their desire to hire people with those qualities, and those are qualities that all veterans (except for the knuckleheaded few) possess. Veterans and those transitioning out of the military will be more successful in their search for a new career if they can present both the soft skill set that the acquired while in uniform and the skills that meet the needs of the company. The rub, however, is how to learn the specific skills that the employer is looking for. Those are the skills that I referred to earlier. Job- or industry-specific skills. There are many ways that veterans can build their specific skills set, and a great many of those ways are completely free. Veterans can research the requirements for a job or industry that they like through websites like careerbuilder.com and monster.com. They can meet with people already in the industry through networking events such as the Marine Executive Association, NavNet, or social networking groups such as meetup.com. They can participate in local company and industry sponsored programs such as the Business 101 or nationwide programs like the MedTech and BioTech Veterans Program (MVP). By conducting research, networking with others, and taking advantage of free industry sponsored training a veteran can tangibly begin to fill the gap in their skills and make themselves more competitive for the great jobs and careers that are out there. There are a lot of ways to build the skills that employers are seeking. All you need to do is get started.